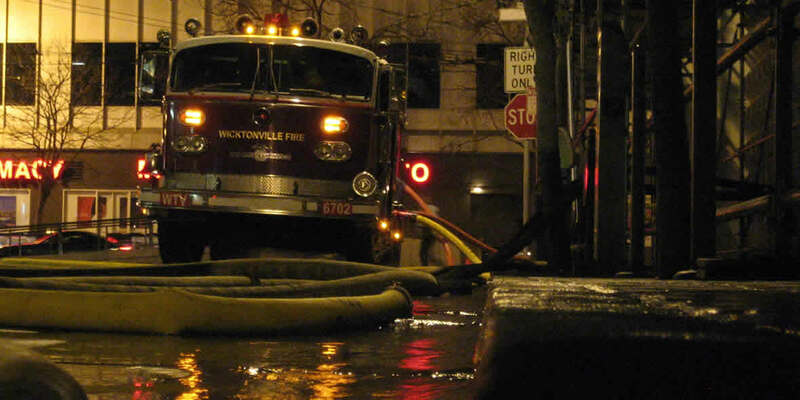 Wicktonville Fire Department, Inc. - A private fire services provider in California and Nevada. This represents the lines of services we offer, though we're always open to tackling new types of work. You can reach us to discuss your next project, or schedule a truck, just get in touch! 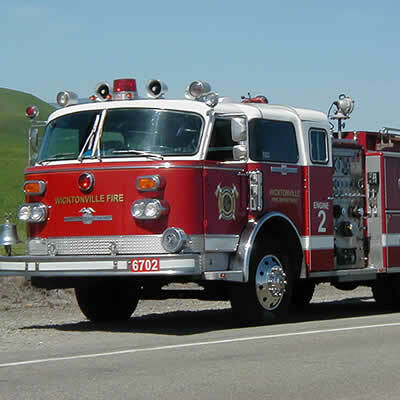 We provide fire apparatus for select special, non-emergency events beyond what public fire agencies can offer. 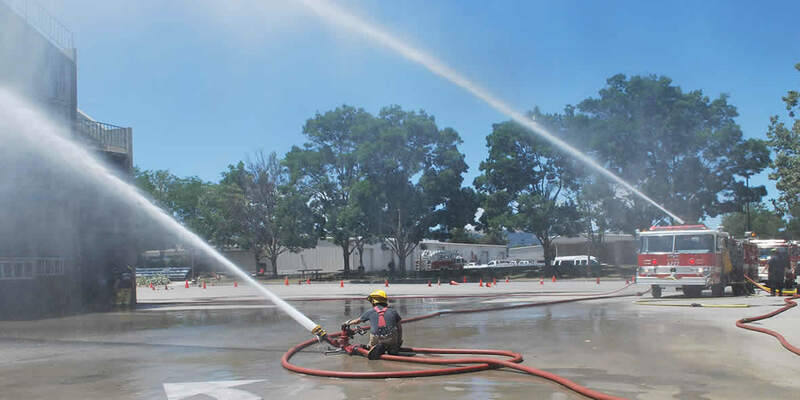 Our engines are used to flow test fire sprinkler standpipe systems, and stand-by during pump work. 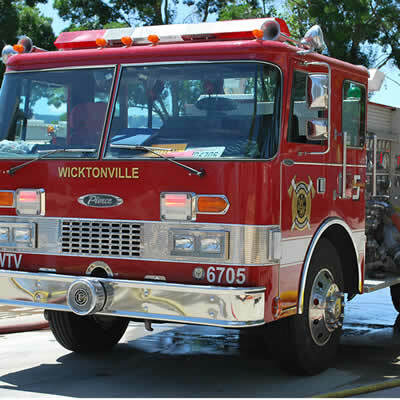 The Wicktonville Fire Department's fleet of vehicles each server a different function, but as a group, provide a well-rounded apparatus family. Engine 2 (then Engine 143) retired from a New York City suburb after 28 years, joining us in 2005. It carries 500 gallons of water with a 1500 GPM pump. 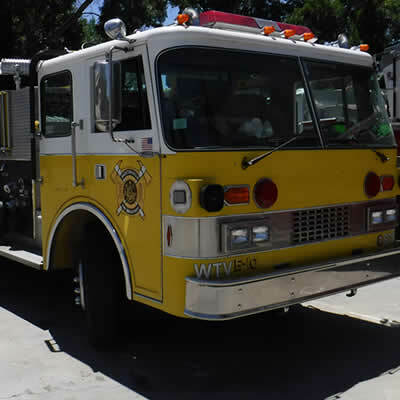 Engine 5 (previously Engine 812 and 813) served a Michigan township for nearly 30 years, before joining us in 2012. It carries 750 gallons and pumps at 1250 GPM, and a petite 24' long (versus ~30' for all others). Engine 8 (last serving as Engine 22 in northwestern Arkansas) joined us in November 2015. 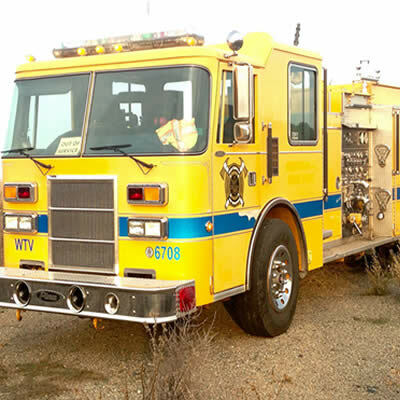 The apparatus carries 750 gallons of water and pumps at 1250 GPM, and is proudly chrome yellow -- no red here! Engine 10 previously served as Engine 10 in southwestern Washington state until retirement in June 2018. It carries 750 gallons and pumps at 1500 GPM, another proud, non-red fire apparatus. Engine 14 (previously Engine 23, 31 and 33 in the Central Valley) joined us on July 4, 2015, after about 25 years in service. The apparatus carries 750 gallons of water and pumps at 1250 GPM, and includes a snazzy 1000 GPM water deck gun as well. The idea of the Company came about in 2005 with the purchase of our first apparatus, Engine 2 (and at that time, Wicktonville Township lacked a fire department); one fire engine became two, and so forth, and we continue to grow about one new vehicle a year. 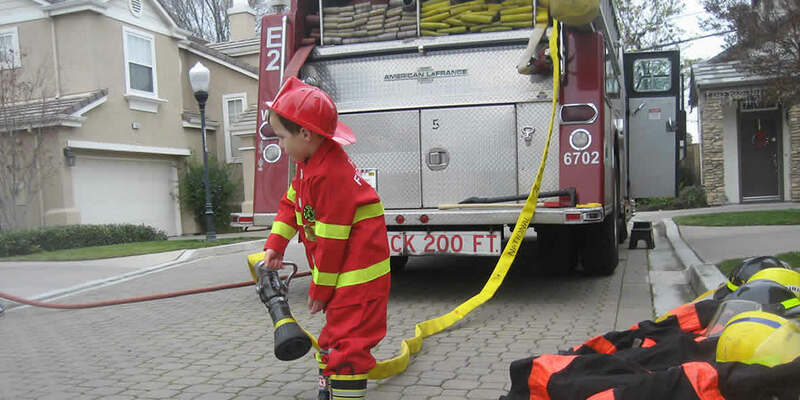 In 2008, the Company was formally born by way of incorporation in California, and like our apparatus growth, continued to add about one new job position per year to facilitate the various work we were taking on as a group. Today, the Company operates under the leadership of its President and CEO, supported by Vice Presidents of Operations and Administration, under the general oversight of a Board of Directors. We are proudly a woman-owned business. While we're always looking to grow our team with great, customer-focused individuals, the skills and location of an applicant is key when we're hiring. Please contact us using the form above if you're interested in join us, and one of our Leadership team folks will be in touch. 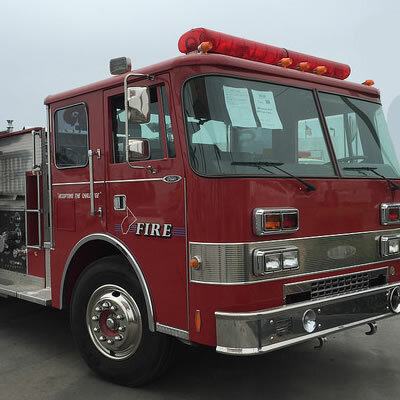 Fire Trucks 4 Hire currently has operating presences throughout California, managing a network of independently-owned locations. The Company also owns and manages the Livermore location, serving the greater San Francisco Bay area area. This division provides business-to-business services to licensed Fire Protection Contractors to provide fire pumpers to test fire sprinkler systems for new construction and every five years, including hiring out pumpers during fire pump maintenance and failures. We believe every business entity has a responsibility to give back, and accordingly, our Board has committed to donating the greater of 1% of our gross annual profits or 10% of net operating profits to non-profit organizations support burn prevention, education, and survivor support. Additionally, we periodically will make service (non-cash) donations to local non-profit organizations in the Livermore Tri-Valley, typically early elementary-school age organizations. © wicktonville fire dept., inc., all rights reserved.